A heart shaped uterus? Aw, that sounds sweet. Only it wasn’t. 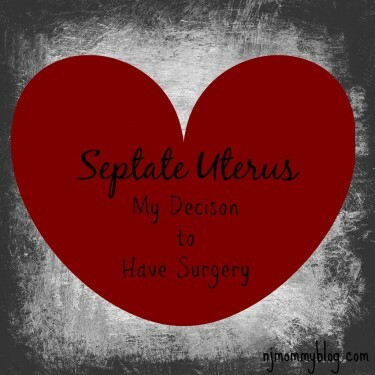 In the spring of 2010, I was officially diagnosed with a congenital uterine anomaly called a septate uterus. Posted in Mom Stuff. Tagged birth story, conceiving, fertility, septate uterus, surgery, uterine anomaly.